Parents of special-needs children wrestle with the question: When should they leave home? Christopher Filipos is gentle and friendly, with huge blue eyes that peek out through the thick lenses of his wire-rimmed glasses. He enjoys cowboy movies and Barney and loves to chat about celebrations and vacations. He can dress himself but relies on his parents to bathe him and brush his teeth. A babysitter helps him off the school bus every weekday afternoon. Just like the parents of typically developing kids, parents of disabled children anticipate a time when their child can move toward greater independence. Sending a healthy, typically developing teen off to college can be hard enough. For parents of special needs children, the decision to move a child to a community-based residence, or group home, can be emotionally wrenching. Of the nearly 5 million Americans with intellectual and/or developmental disabilities, more than 600,000 live in community homes, according to The Arc, a national advocacy organization for people with intellectual and developmental disabilities. Disabled people are living longer, and their caregivers, obviously, are aging too. So an increasing number of families will be helping their kids make the transition from the family home to group homes. Christopher has one more year in the public-school system where he lives in Arlington, Virginia, before he ages out. He’s on a housing list to be considered when an appropriate group-home vacancy arises in his area. Sometimes it seems like there’s no right time, agrees Paul Waga, an assistant residential director with Community Interactions Inc. in Swarthmore, Pennsylvania. But all families need to have a game plan. That’s the issue that pricks at the heart and conscience of Marjorie Smith. 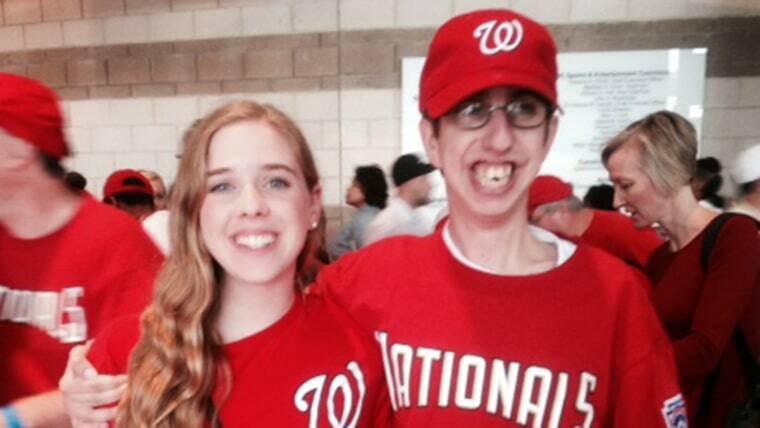 Her son, Avery Kahn, 18, has a diagnosis of Fragile X syndrome and autism. Smith says she can barely fathom the day when she won’t be able to play Cookie Monster with Avery, when she won’t be there to make him feel special and loved. Her son can speak a few two-word sentences and is very agile with his laptop, which he carries from room to room in the home he shares with his mother and brother in Denver. He loves YouTube clips such as the trailer for the movie “Night at the Museum” and watches them over and over. That’s a main concern of many parents, says Waga. It’s all about the individual and meeting their needs, so parents need to be investigate to make sure a particular group home is right for their child.